"It's really sad...everyone was so pro-drilling. This is the red, white and blue American thing to do. I just never saw it that way and I was being personally affected by it. But now I'm seeing other people rise up who are feeling the same way. I think a lot of people now would like a do over." "A lot of things that are generated during this process are known to be harmful to human beings. But it’s similar in my mind to how we found out about cigarette smoking and cancer. It wasn’t that we did a study and found out oh no look cigarettes cause cancer, it was 40, 50 years of ah... exposure." Here's the link to the Video. Click on "Play Video." An oil and gas lease generally [but not always] includes a force majeure clause. Such agreement relieves the lessee from liability for breach, if the party's performance is impeded as the result of a natural cause that could not have been anticipated or prevented. 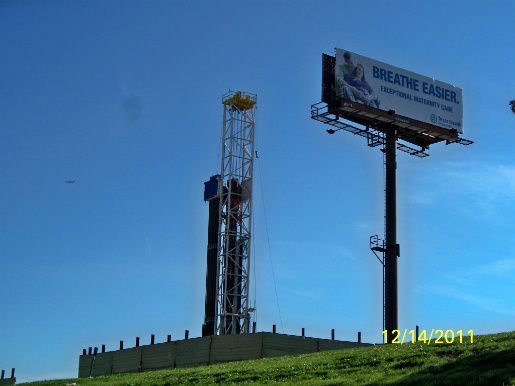 Chesapeake Drilled and Fracked 850 Feet from Joe Pool Lake Dam ~ What? United States Army Corps of Engineers (USACE) Says, "Hold your Drill Bore, Chesapeake,"...Westchester Gasette Says: "Force Majeure? Good Grief." Shout out to TexRock just because you spend so much time on our blog. Pastor says, "We are so blessed to be on the Barnett Shale." NOTE: At the very beginning of this video, the Pastor from Overcoming Faith (Church) is announced as the next speaker for this Public Hearing on a new drill site called "Overcoming Faith." At that very moment, a man leaps up from the front row of the Arlington, TX City Council Chambers and adjusts the entire podium. Maybe it had something to do with overcoming a podium. But we really can't begin to know for certain. Oh, and here are the 3 Letters of Support for this drill site linked to from the Agenda on the City of Arlington Web site. If we're not mistaken, there are problems with those letters. One seems to be from the operator and 2 seem to be from the same person. There's a lot of overcoming there, too. 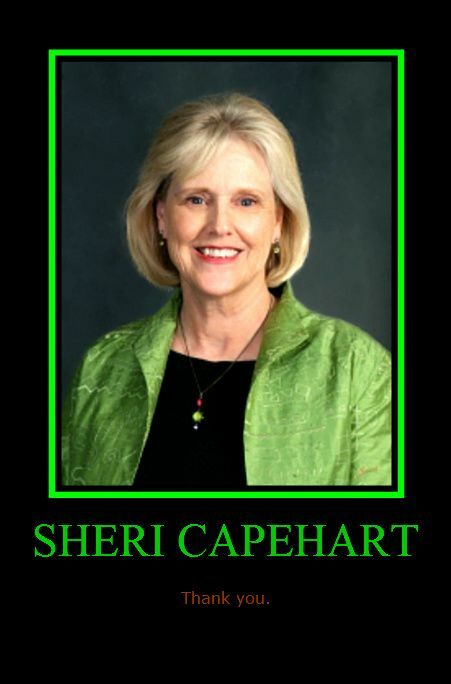 Sheri Capehart ~ District 2 City Councilwoman in Arlington, TX. 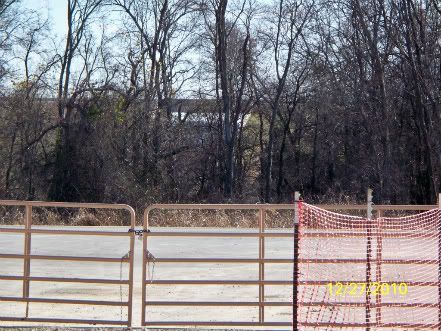 This last Tuesday night (February 21, 2012) something very unusual happened during the vote on the Overcoming Faith Drilling Site during the Arlington City Council Meeting. The vote was 4-3. The 4 City Councilmen voted "Yes" to the site. As the video shows, the 3 Women on the Council voted "No" to the site. After observing the actions of this City Council over many months and seeing how they mostly never met a drill site they didn't like ~ it was a sea change this past Tuesday night. P.S. We're very sorry for your loss, Councilwoman Capehart. We, too, have known the sadness and long goodbye of losing a loved one to Alzheimer's. AMEN. 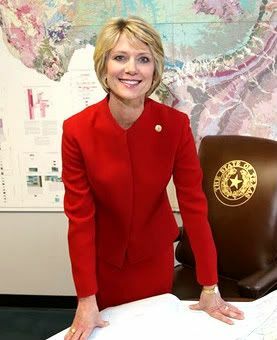 Important Note: Elizabeth Ames Jones resigned yesterday as Chairman of the Texas Railroad Commission. Click HERE for the story on BlueDaze. As your Commissioner, it has been a privilege to be on the frontlines fighting the Obama Administration, the EPA and the left wing voices in Congress, whose agenda is to disrupt the development of vast new oil and gas resources in shale reservoirs in the United States and to usurp our state’s jurisdiction in direct conflict with the 10th Amendment to the U.S. Constitution. 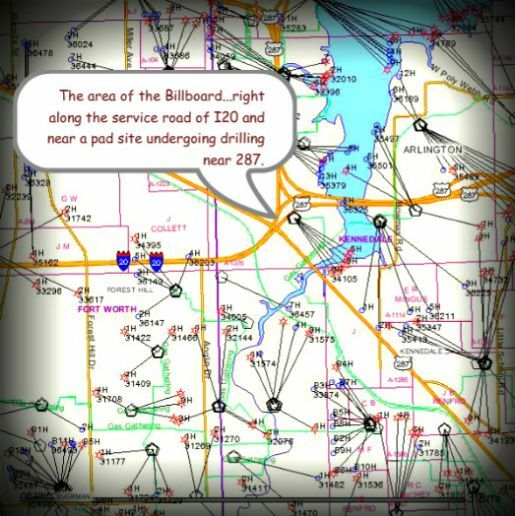 I am proud to have been a leader in the responsible oversight of the new drilling techniques which evolved from horizontal drilling and hydraulic fracturing, and which have created an economic boom for the benefit of all Texans, especially in the Eagle Ford Shale Play, south of San Antonio. Wow. That was certainly weird, Mrs. Jones. So, you've been fighting the EPA all along? I guess we knew that. We had also forgotten that Metabolife contained deadly ephedrine. Is that a DKNY cap? Very nice! And here's your Encore, Mrs. Jones. In case you missed the New York Times article from June 2011 featuring Ms. Rogers, click here. Lots of information and multimedia along with this very important story. Click here for the link to Deborah Rogers' goat farm web site. Her goat cheese has won all kinds of honors. 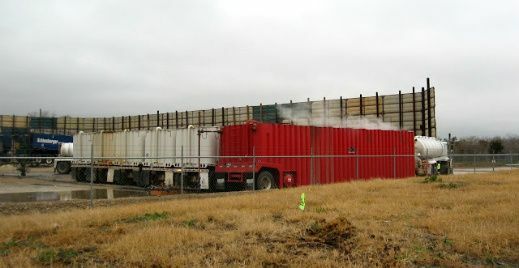 Also, click here to read how Ms. Rogers became involved with the shale gas nightmare on the Dallas News Energy and Environment Blog. Here's her detailed story on Earthworks. FYI: Click Here and Breathe Carefully. The area is surrounded by shale gas drilling and fracking. "Get yourself and your baby out of here. Now." And We Hear They're Not Finished, Yet. Monday morning. January 30, 2012. Austin, Texas. William B. Travis Building in Austin, Texas. We met Commissioner Smitherman, Examiner Doherty and didn't realize Commissioner Porter was in the auditorium. But after all the speakers completed their "informal" comments, Examiner Doherty (presiding from the dais) asked if anyone else wanted to speak. Commissioner Porter then rose up, said something we couldn't hear and slowly made his way to the microphone. That must be what made this a an "Informal "Hearing" for "Informal Comments" (**See the Hearing Notice below**) because up to that point, there was truly nothing "Informal" about any of it. Railroad Commission Chair, Elizabeth Ames Jones, was not present. 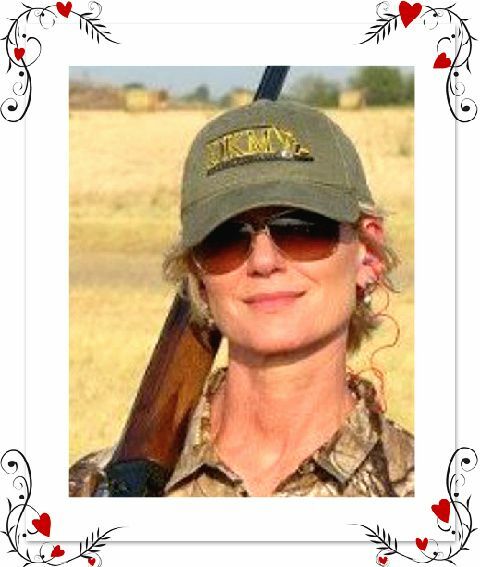 We recently learned that she is running for a State Senate seat from San Antonio, TX. We know that must take a lot of her time. But we're not sure why, since we thought she should be a shoe-in. Maybe she should speak to Rick Perry about those shoes. After the close of the hearing, both Commissioners Porter and Smitherman introduced themselves to our groups and were very cordial. During the hearing, they were very attentive to our comments about the Mineral Interest Pooling Act (MIPA), too. You could have heard a pin drop. We brought our own perspectives and research on all of it. And we had a lot to share. Flower Mound, Fort Worth, Grand Prairie and Wise County were all represented by a speaker or two. Representative Lon Burnam (Fort Worth) presented over 400 petitions from citizens of the Barnett Shale who have concerns about changes to MIPA and how rule making needs to protect "citizens" who don't choose to enter into a business relationship with shale gas operators. Interesting that the room was certainly filled with many people taking notes ~ but not speaking. We suppose these were the industry people. But we can't be sure about that. We just wish they would have all said something instead of leaving it up to the numerous membership organizations speaking on their behalf. That would have meant we could have spent another full day in Austin. And then we could have met more of the nice people at the Railroad Commission who have been so helpful during our Rule 37 discussions over the past year. We so wanted to visit the mail room where one of our recent Fed Ex packages was left unopened for a full day! We were told that the mailman was laid off. 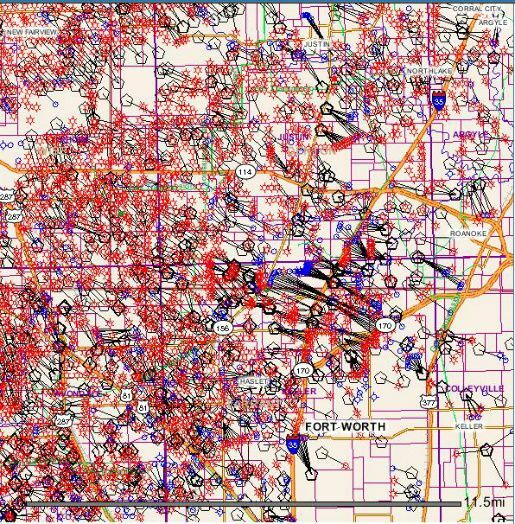 But sadly, we needed to get back to the Barnett Shale so there was no time to make that particular visit. Maybe next time. Overall, we really enjoyed our time at the William B. Travis Building. It was nice to finally have the opportunity to speak to the commissioners who have been making all the decisions about the property takings in the Barnett Shale. 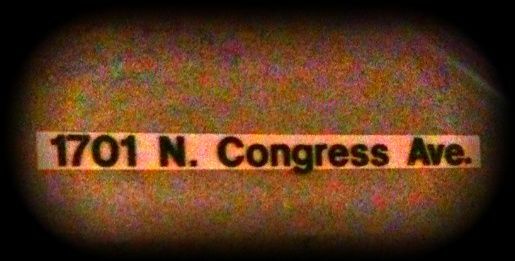 And be in the halls of the very building where so many Rule 37 Spacing Exception Hearings have been heard. We look forward to more visits to the Railroad Commission of Texas in the near future. That is, unless they take up the offer and decide to visit us in our Barnett Shale. We would be truly honored by that. Then they could meet so many more Citizens of the Shale who also have a lot to share with them.